Congratulations! 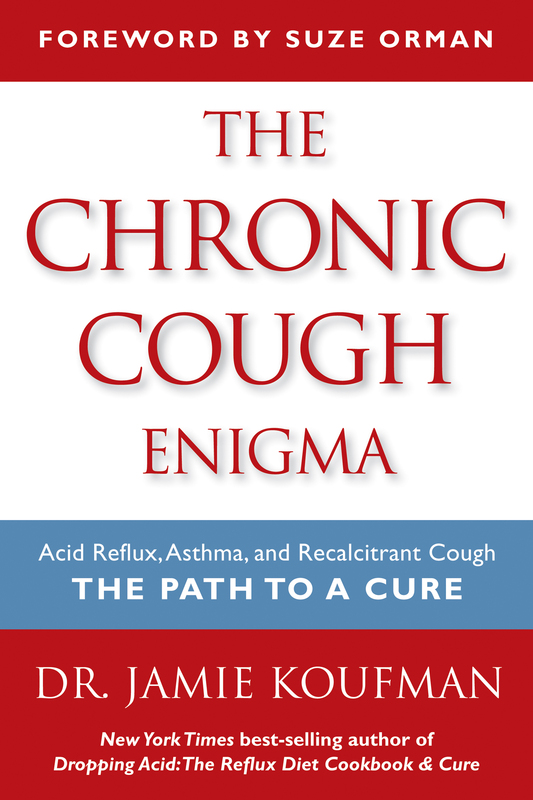 The Chronic Cough Enigma really packs a punch. Like Dropping Acid: The Reflux Diet Cookbook & Cure, this book is very clearly written. You do an excellent job of explaining some fairly sophisticated medical concepts. That's important, because most patients want to be educated but not talked down to. When I wasn't furious at the medical establishment in general and my GI doc and his ASC in particular, I actually enjoyed reading it and learned a lot. I know that you became a doctor because you wanted to help people, and this book will help many, many people. “Congratulations to you on The Chronic Cough Enigma; it is first rate. I will recommend it to my residents and to my patients." – Robert T. Sataloff, M.D., D.M.A., F.A.C.S.